WASHINGTON, May 29 2013 (IPS) - At an annual shareholder meeting held Wednesday, upper-level management for the oil conglomerate Chevron faced renewed questioning over its record-setting political contributions during last year’s national election. 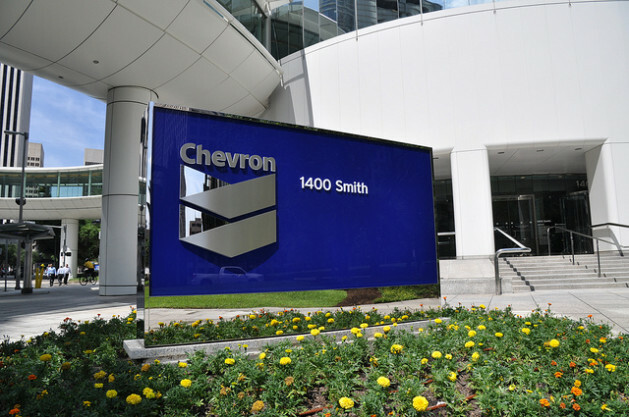 At the meeting, a shareholder resolution on the issue focused on Chevron’s alleged refusal to explain how the company’s political spending has benefited shareholders, particularly given the excoriating criticism the contribution has garnered, and called for a cessation of the practice. The resolution failed to pass, however, receiving just four percent of shareholder backing. Of particular interest has been a lump payment of 2.5 million dollars spent by a Chevron subsidiary. Given that Chevron receives government contracts, the contribution’s timing (in the last weeks of the election) and its beneficiary (a group focused on electing Republicans to the House of Representatives) have raised concerns that the payment could have violated U.S. law. Chevron is wrapping up “its most expensive year of political spending to date,” Green Century Capital Management, which filed the resolution, stated Tuesday, just ahead of the shareholder meeting. The advisory firm is now formally urging the company to “refrain entirely from political spending, arguing that doing so would protect against risks to shareholder value”. Chevron, the second-largest oil company in the United States, reportedly spent a total of 3.9 million dollars during the 2012 campaign. Yet it was the 2.5-million-dollar payment to a group called the Congressional Leadership Fund that has become the focus of much interest, in part because it is the largest single corporate political contribution to date. In 2010, the U.S. Supreme Court handed down a controversial ruling that lifted restrictions on most corporate election-related spending. The decision made the 2012 presidential election the most expensive to date. It has also sparked a significant public backlash: according to a September poll, more than four-fifths of U.S. respondents would support limiting election spending. Further, at least 14 states have now passed resolutions urging a constitutional amendment to overturn the judicial decision, known as Citizens United. Against this backdrop, Chevron has been widely pilloried for having racked up the largest-yet corporate political contribution since the Citizens United decision was handed down. “This issue is important for our members because Chevron has not been willing or able to demonstrate value to shareholders of its political expenditures,” Leslie Samuelrich, a senior vice-president with Green Century, told IPS. Following Wednesday’s vote, Samuelrich lauded the results, telling the media the process represented “a turning of the tide”. The Citizens United decision appears to have led to an immediate response from Chevron. The company has reported spending a little more than a million dollars on political contributions in 2008 and a little less than that amount in 2010, when the Supreme Court ruled. Two years later, those figures have almost quadrupled. In addition, watchdog groups have noted that around 90 percent of corporate spending in the 2012 election went to Republicans. “This appears to be very risky business to us,” Samuelrich says, noting that Green Century has filed similar resolutions this year with the oil company ExxonMobil, Bank of America and 3M, a manufacturing conglomerate. Further, the company continues to be dogged by allegations that the Congressional Leadership Fund contribution could have been illegal in the first place, given Chevron’s contracts with the government. In March, Public Citizen and several environment groups filed a joint complaint on the issue with the Federal Election Commission, though the commission has yet to respond. The company, meanwhile, has pointed out that the payment was made through a subsidiary that doesn’t hold a government contract. In documentation sent to IPS, Chevron’s board unanimously recommended that shareholders vote against the resolution to halt political spending. “Chevron exercises its fundamental right and responsibility to participate in the political process … [and] advocates positions on proposed policies that will affect the Company’s ability to realize strong financial returns while meeting the world’s growing demand for energy,” the Chevron board states. While the Ecuadorian courts have repeatedly assessed the company for 19 billion dollars in liability, Chevron has taken an aggressive line in refusing the penalty, saying a multi-million-dollar remediation has already taken place. In an unusual step, in December the company even subpoenaed some of its own shareholders, alleging that they were colluding with the Ecuadorians. Shareholders floated a related resolution, impugning the Chevron management for the ongoing Ecuador situation, at last year’s meeting. Although that move was rejected, it did win the backing of around 40 percent of shareholders – slightly more than was ultimately received during Wednesday’s vote, indicating continued shareholder interest to resolve the issue. Meanwhile, the Ecuadorian plaintiffs, who allege health problems and ruined lands, are now suing Chevron in other countries in which the company operates. Following on an order earlier this month, Chevron CEO John Watson will now have to testify in a fraud-related counter-suit filed by the company against the Ecuadorians. This year, activists have increasingly targeted Watson himself, singling him out for having originally overseen the acquisition of Texaco. “My parents both died from cancer due to Chevron’s contamination,” Servio Curipoma, from San Carlos in Ecuador’s northeast, told Chevron shareholders and management Wednesday.